Chinese smartphone maker Xiaomi has launched a 4GB RAM variant of the Redmi Note 5A. The new variant is powered by Snapdragon 435 SoC and is priced at CNY 1,199 (Rs 12,000 approximately). Currently, the phone is available in China. 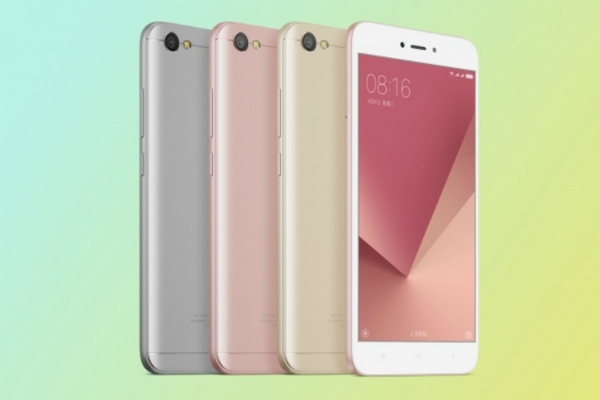 Xiaomi Redmi Note 5A was launched in China last month as the successor of Redmi 4A. Xiaomi launched the phone in two variants initially, one with 2GB of RAM and 32GB of internal storage, powered by a Qualcomm Snapdragon 425 Chipset. And the second variant with 3GB RAM/32GB storage, powered by Snapdragon 435 processor. All the three models of the Redmi Note 5A support expandable storage with a dedicated slot for microSD card. The 3GB RAM and 4GB RAM variants will also have the fingerprint scanner. All the variants are available in Champagne Gold, Rose Gold, and Platinum Silver color options. The Xiaomi Redmi Note 5A sports a 5.5-inch HD display protected by a Corning Gorilla glass on top. The phone features a metal unibody design. It runs on Android 7.0 Nougat with company’s custom software MIUI 9 on the top. This high-end version of the Redmi Note 5A comes with a Snapdragon 435 processor and will be available with 4GB RAM and 64GB storage option. On the camera front, it sports a 13 MP camera with f/2.2 aperture, with at the back and a 16MP f/2.0 sensor on the front. Connectivity options in the phone include 4G, Wi-Fi Direct, Wi-Fi 802.11 b/g/n, Bluetooth v4.2, and GPS + GLONASS. The Redmi Note 5A comes with infrared, gyro, acceleration, distance, ambient light, and compass in terms of sensors. The phone is backed by a 3080mAh battery. This high-end 4GB/64GB variant of Xiaomi Redmi Note 5A is priced at CNY 1,199 (Rs. 12,000 approximately. The phones are available via a flash sale in China scheduled on Tuesday. There is no word as of now on its launch in other markets.